After a mild, moderately rainy summer, a September of cool nights and sunny days will soon give way to a beautiful autumn throughout Pennsylvania. The Department of Conservation of Natural Resources website boasts, “Pennsylvania has a longer and more varied fall foliage season than any other state in the nation — or anywhere in the world.” It continues, “Pennsylvania’s location between 40° and 42° North latitude and its varied topography…supports 134 species of trees and many more shrubs and vines that contribute to the display of autumn color.” If you’ve spent much time in Penn’s woods during Fall, you know that Pennsylvania puts on an incredible display. Maples aflame with orange and red, oaks blazing a deep orange, and ash and birch trees twinkling with every shade of yellow represent just a small sample of what you’ll find throughout the state. This post is by no means a comprehensive list of beautiful autumn hikes in eastern Pennsylvania. It’s more of just a short list of hikes that I’ve been able to do personally over the last few years. I originally wrote this for the Keystone Trails Association, so please don’t think that I have any bias against the other states in the area, all of which feature trails worth exploring as the leaves change.. And though I know eastern PA better than the rest of the state, I acknowledge that there are many beautiful hikes in the central and western parts of PA as well. I welcome comments with advice on other trails to explore this Fall, in PA and elsewhere. DCNR claims the Pennsylvania weather will “favor earlier peak dates this year.” I’ve tried to use that information, combined with my own experiences, to give the best times to attempt these hikes. My “Best Time to Visit” looks to give others the best chance to experience peak foliage. 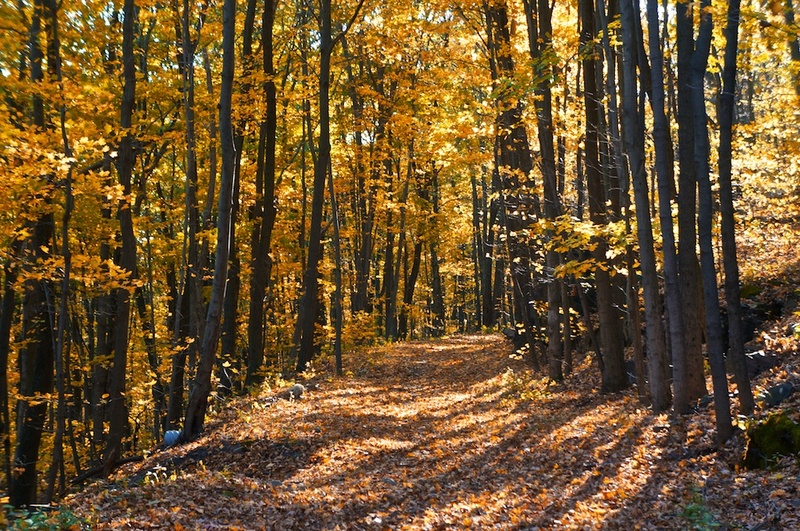 DCNR has a great page about foliage in Pennsylvania that includes weekly updates. Rock Run Gorge. Sullivan Mountain to the left, McIntyre Mountain to the right. October 18, 2010. The only backpacking loop I’ve included here, though there are plenty of others to tackle during Autumn (the Black Forest Trail, Loyalsock Trail, and the Pine Creek Gorge area all come to mind.) 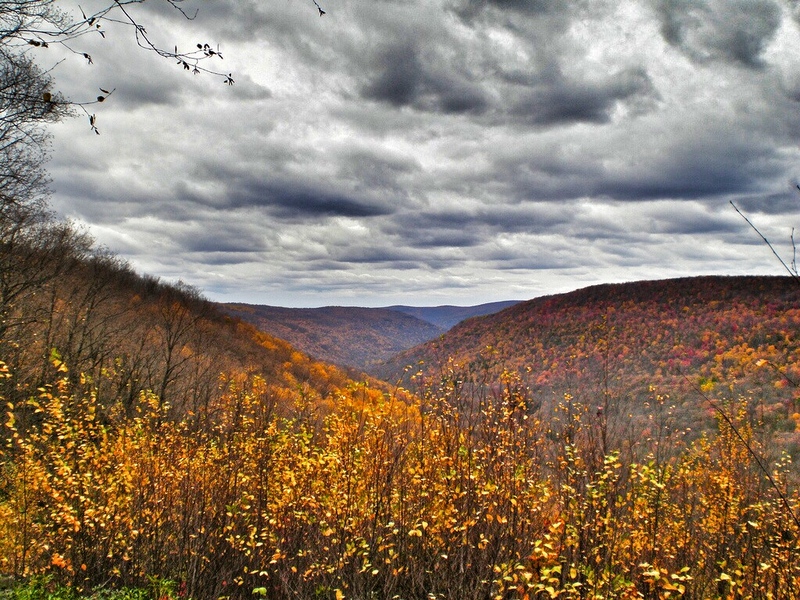 Located in Lycoming County, the OLP is 27 miles long and often hiked over 2-3 days. 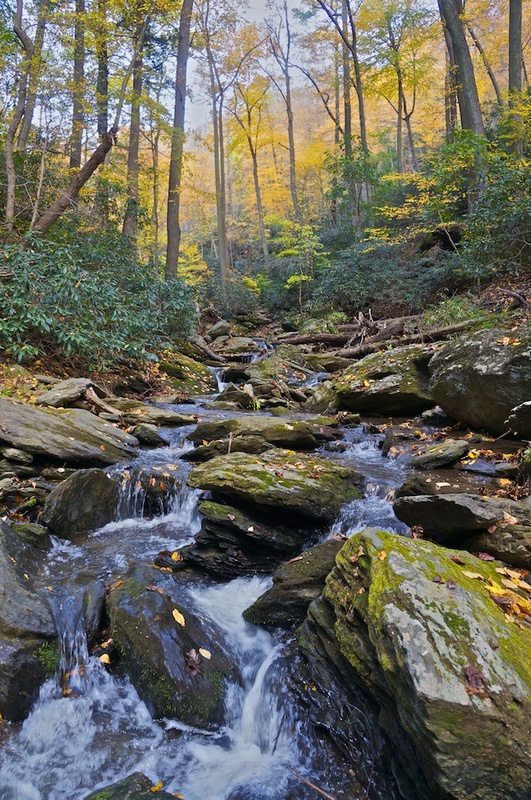 There are numerous mountain streams, including one of Pennsylvania’s most beautiful waterways, Rock Run. The trail itself is comprised mainly of old logging roads and often the trees themselves create vibrant tunnels over the path during Fall. The loop also features some outstanding views, all of which are amplified during the first few weeks of October. Vistas overlooking the Rock Run Valley, atop Sullivan Mountain, and the incredible Sharp Top Vista should not be missed. Old logging road. October 19, 2010. Bonus Tip: The Loyalsock State Forest is a wonderland of fantastic hiking. Plan to visit any number of beautiful vistas and waterfalls. Some of my favorites include Hoagland Vista and Smith Knob, as well as Mill Creek Falls and Angel Falls. Flat Top Vista, November 5, 2013. This beautiful vista in Wyoming County gives hikers a view over the untouched valley carved by the Mehoopany Creek. Only a few remote hunting cottages are visible as the stream flows through the dense forests of State Game Land 57. On clear days, you can see all the way to the fire tower in Red Rock. 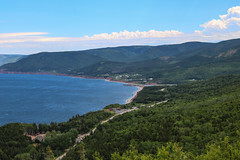 There are no official trails in the State Game Land and only experienced hikers should attempt to reach this view. Park in the Game Commission parking lot near White Brook and take the path out of the lot past the cottages and up the mountain. I visited this beautiful vista in the first week of November last year and most of the leaves were already down, but those that remained were beautiful shades of yellow, orange and red. We hiked here the day after the start of daylight savings time and the high only reached into the mid 30s for the day. There was a cool wind at the top and an outstanding feeling of solitude. Bonus Tip: If you have a four wheel drive vehicle, drive the length of SR 3001/Windy Valley Rd through the game land. The road is precipitous but closely follows the beautiful Mehoopany for a short while. Many of the tributaries of the Mehoopany feature waterfalls and are worth exploring. 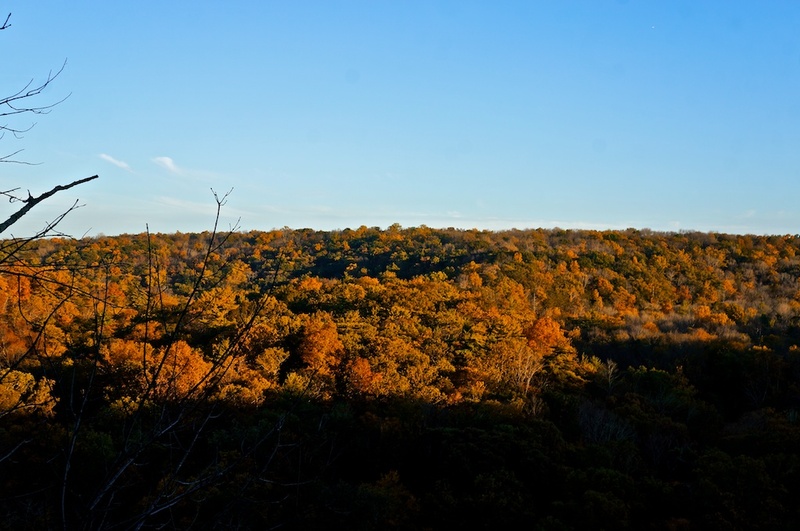 Hikes in SGL57 are some of the most remote that you can do in the eastern part of the state. Though one of the smallest, World’s End State Park is also one of Pennsylvania’s most beautiful state parks. There are multiple vistas and streams to explore and even more in nearby Loyalsock State Forest. In autumn, a trip up to the most popular vista in the park is a must. 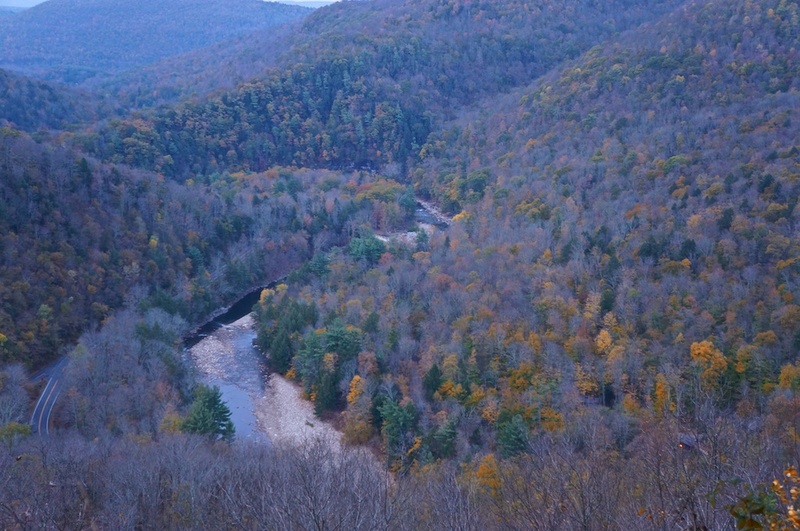 Canyon Vista looks out over the beautiful S shaped valley of the Loyalsock Creek as it flows through Sullivan County. It is possible to drive right to this vista, but the beautiful forests and clear mountain streams around it are best explored on foot. 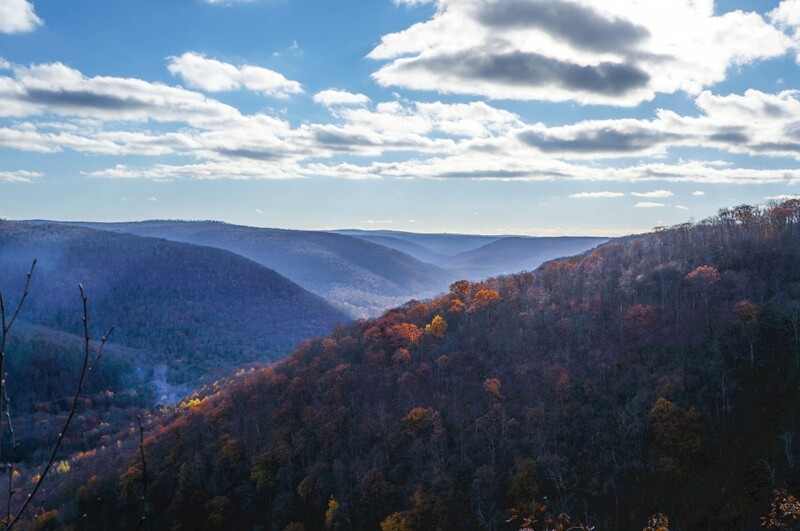 The park’s Canyon Vista Trail brings you straight to the view, but more intrepid hikers can construct a loop using the Loyalsock Trail, Link Trail, and the Double Run Nature Trail for a beautiful, and relatively challenging, 3-4 mile trek. 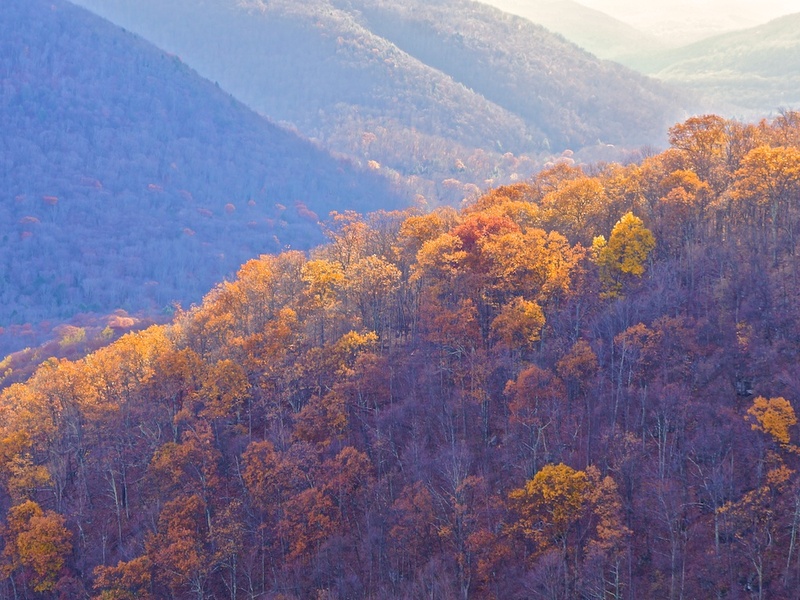 Bonus Tip: The beautiful High Knob Overlook is only about 5 miles from World’s End. It is another impressive vista that overlooks Sullivan and Lycoming Counties. It is also possible to drive up to this vista. Looking west from the top. October 13, 2013. 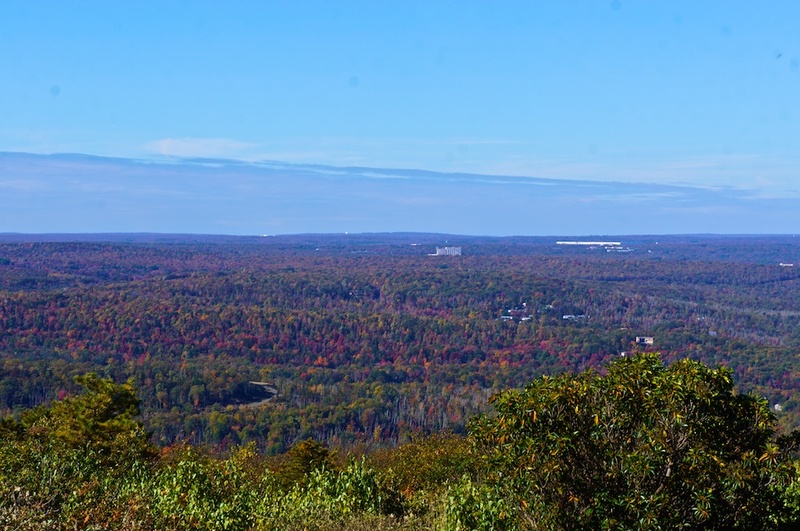 The view at the top of Big Pocono State Park is always impressive, and it is made even more beautiful with the addition of Fall foliage. 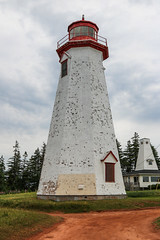 Panoramic views showcase a large swath of eastern PA, as well as portions of New Jersey and New York. The Delaware Water Gap, some 20 miles away, is also visible. 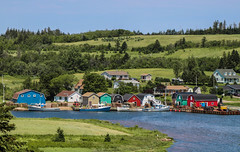 Various hiking loops can be started from the top, and a trek out on the orange-blazed Indian Trail is a must, as it ends in yet another impressive vista. When hiking here, I often start at the bottom of the mountain, at a parking area known as Riday’s Gate. Using the North/South Trails, in addition to the mountain biking trail at the beginning of the trip, a decent 7 mile lollipop loop can be formed. The trails cut through beautiful forest as they make their way up the mountain, reaching the top in about 3 miles. Old railroad grade near the trailhead at Riday’s Gate. October 13, 2013. View of the Susquehanna River from the Pinnacle Overlook. October 21, 2012. I’m always surprised by the workout I get from this hike in Lancaster County. 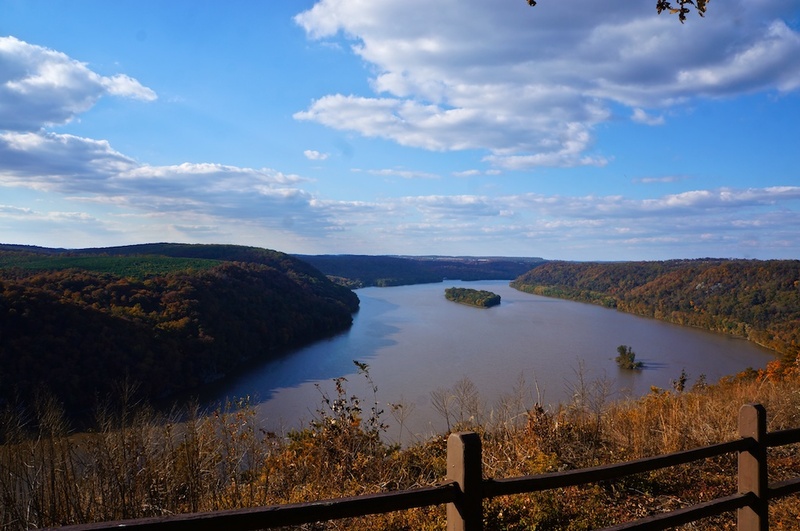 Located in the Holtwood Recreation Area, a nice 5 mile hike will take you along beautiful Kelly’s Run before climbing to the impressive view of the Susquehanna River at the Pinnacle Overlook. Kelly’s Run features many cascades and even a few small waterfalls as it nears the Susquehanna. The climb out of the gorge is a bit steep, but not terribly long. The reward at the top is more than worth the effort though, with the beautiful Susquehanna River flowing through the farmlands of Lancaster and York Counties. Kelly’s Run. October 21, 2012. Bonus Tip: Extend your hike by taking the Conestoga Trail from the Pinnacle Overlook to the north, where you can meet up with the beautiful Tucquan Creek. Tohickon Creek. October 14, 2013. 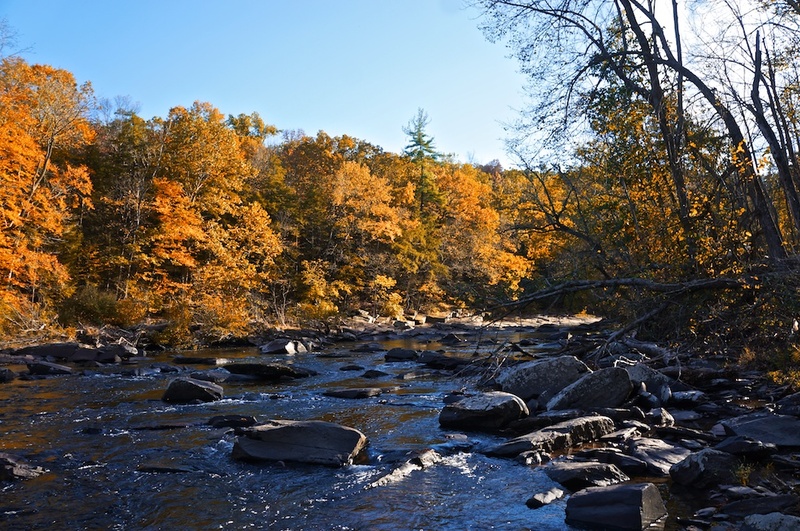 Located in scenic Bucks County, Ralph Stover State Park features views over the lovely Tohickon Creek as well as streamside hiking along the creek itself. Park at the lot in the High Rocks section of the park and explore the (mostly) unblazed trails that lead to views over the creek. Follow the trails to the east and make your way down the creek, where more unblazed trails follow the water in both directions. There are some nice rapids and great places to picnic along the Tohickon as it makes a horseshoe bend in the park. View from High Rocks. October 14, 2013. 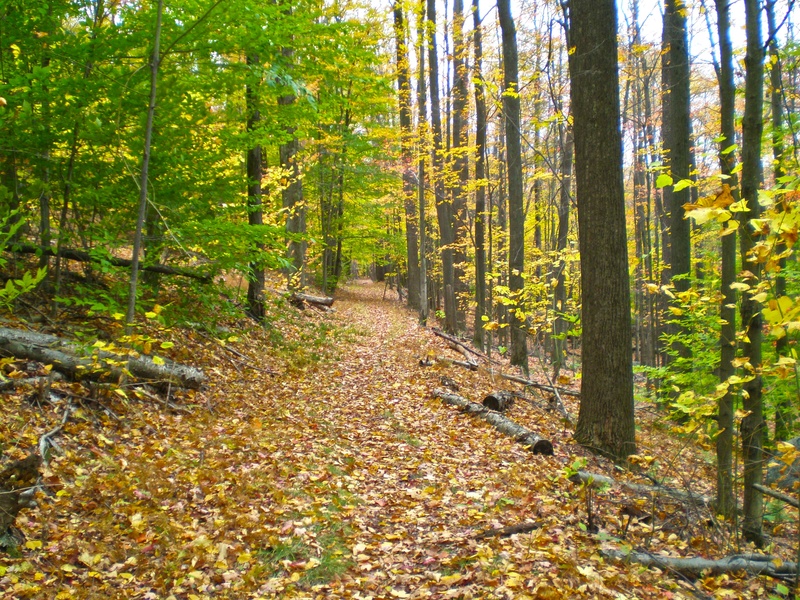 Bonus Tip: Longer hikes can be put together using the trails at Tohickon Valley Park. Autumn is the perfect time to enjoy the Bucks County Covered Bridge Tour. Hiking in Pennsylvania and beyond.